Matt is a principal in the firm, and has practiced in the areas of taxation and accounting since 2000, with a primary focus on serving high-net individuals, executives, company founders, family groups, and family offices. Matt follows a Personal CFO model of service through discovery and planning within all aspects of a client’s financial world: investment, risk management, taxes, and estate planning – often working in tight collaboration with other client advisors. Matt brings empathy, genuine care, responsiveness, and a desire to deliver solutions and value in all of his relationships. It is through a detailed process of understanding client needs and a human connection that allows Matt to develop a high degree of trust among his clients. Matt brings a balance of technical skills, experience, and personal values to inform sound judgement, advice and decision-making in the interest of clients. Matt has significant experience with complex tax planning and compliance related to individuals, trusts, and estates. He has worked with real estate developers and investors, and with start-up companies from initial formation through subsequent funding rounds. He has consulted through buy-sell transactions and represented individuals through IRS audits. He has participated in complex estate and gift planning, and assisted company executives with stock option planning. Matt received his Bachelor of Arts in Business Administration (Accounting Concentration) from the University of Washington, and a Masters in Professional Accounting (Tax Concentration) from the University of Washington. 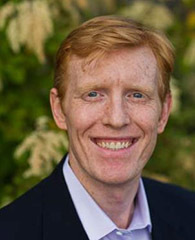 Matt is a member of both the Washington Society of Certified Public Accountants (WSCPA) and the American Institute of Certified Public Accountants (AICPA), and the East King County Estate Planning Counsel. Matt grew up in the Seattle area, attending St. Anthony’s Catholic School in Renton and O’Dea High School in Seattle. He was raised by two very hard-working and committed parents, and their core values of work and dedication to others run very deep in his own life. His focus outside of work centers around family, friends, and maintaining a consistent schedule of exercise and outdoor activity.